Post-surgery rehab is a form of physical therapy that may be very helpful for you. It may be especially effective if you’re recovering from knee replacement surgery. However, you’ll need an experienced physical therapy team to help guide you through your recovery and get the best results. Franklin Rehabilitation has helped many Franklin, Wisconsin residents find effective physical therapy after their surgeries. Our post-surgery treatments are so effective because we personalize them to you. We achieve such personalized treatment by focusing on specific recovery challenges you’re facing. Our post-surgery rehab may be particularly helpful for you if you’re recovering from a knee replacement. 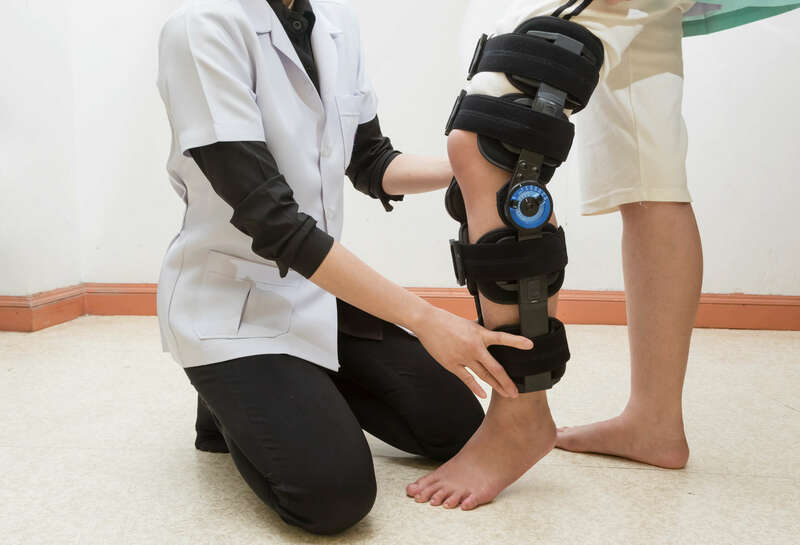 Our team knows that knee replacement surgery can be hard to recover from quickly, but we also know that post-surgery rehab may be able to help you. We’ve seen an increasing number of patients come through our doors with knee replacements. This is mainly because of the national increase in knee replacement surgeries, but it’s also a result of how effective our rehab plans have been for past patients. In fact, we often hear from new patients how our services were recommended by a friend or family member we helped in the past. One factor that makes our knee replacement recovery treatments so effective is we have many therapy methods at our disposal. For instance, we may include joint mobilization in your recovery plan. This form of therapy is performed by one of our therapists, and it involves them performing specific joint movements for you. The gliding motion of joint mobilization is very soothing. We may also include therapies such as muscle strengthening exercises, low-impact cardio training and thermotherapy in your treatment plan. The combination of all these therapies may bring you many benefits. For one thing, they may help to reduce the amount of pain you experience after your surgery. Our multi-therapy plans may also lower the levels of inflammation in your knee. Both of these benefits may help you achieve the most significant benefit of all. This benefit is that we may be able to reduce the time you spend recovering from your knee replacement. Are you having a knee replacement soon? Franklin Rehabilitation is ready to help you begin your therapy. In fact, we can help you set it up before you even have your surgery. This way you can rest assured you’ll have the best care ready to go after your knee replacement. We even make it easy for you to plan your treatment by offering free 15-minute screenings. Contact our team today for more information or to schedule an initial appointment.